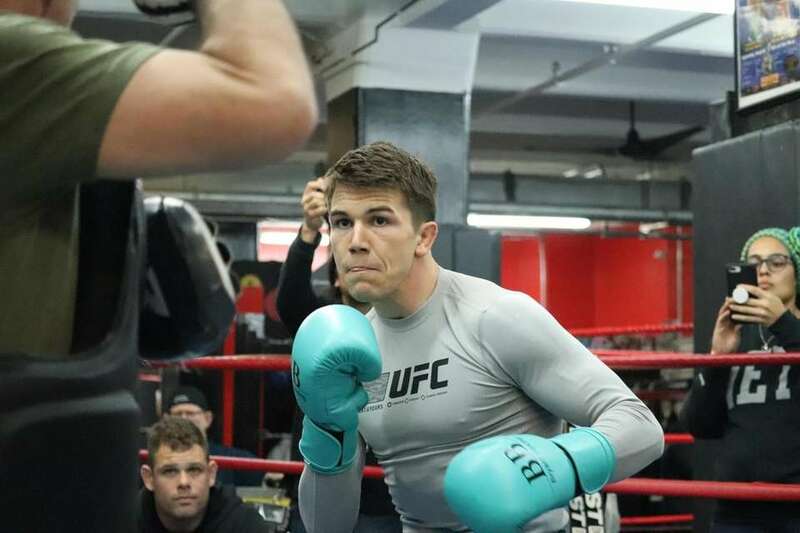 Scenes from the UFC Brooklyn open workouts, pre-fight news conference and weigh-ins ahead of Saturday's event at Barclays Center. 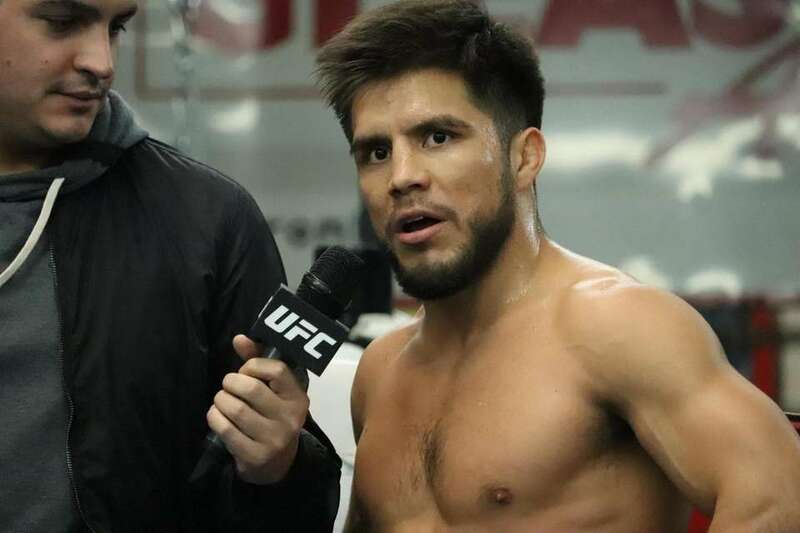 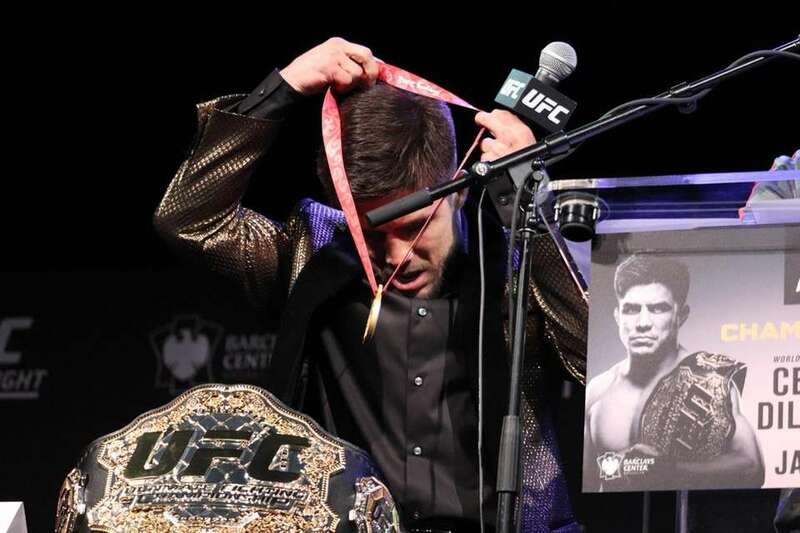 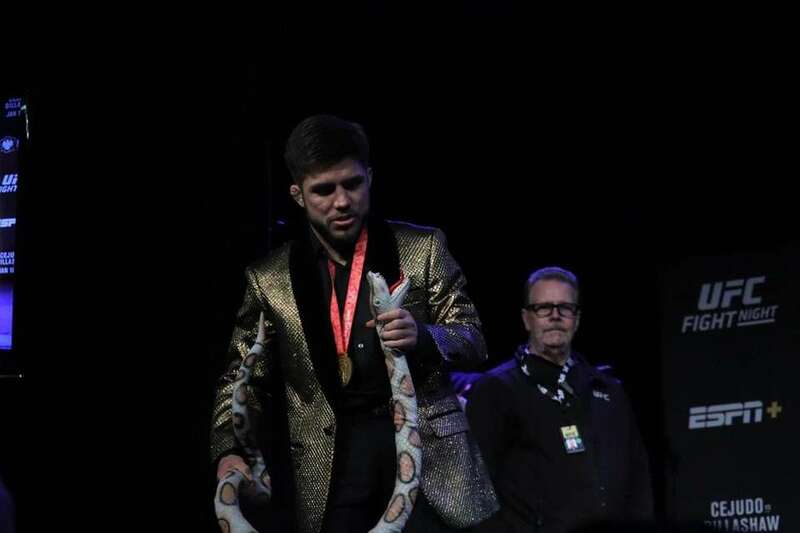 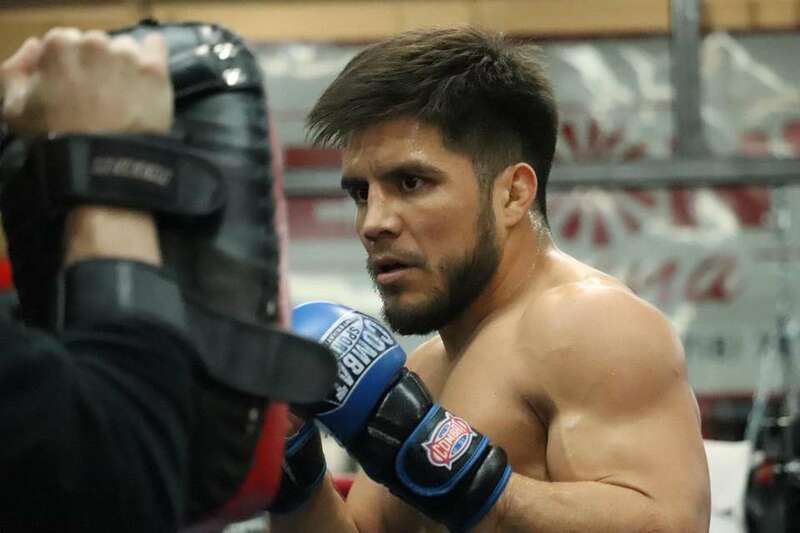 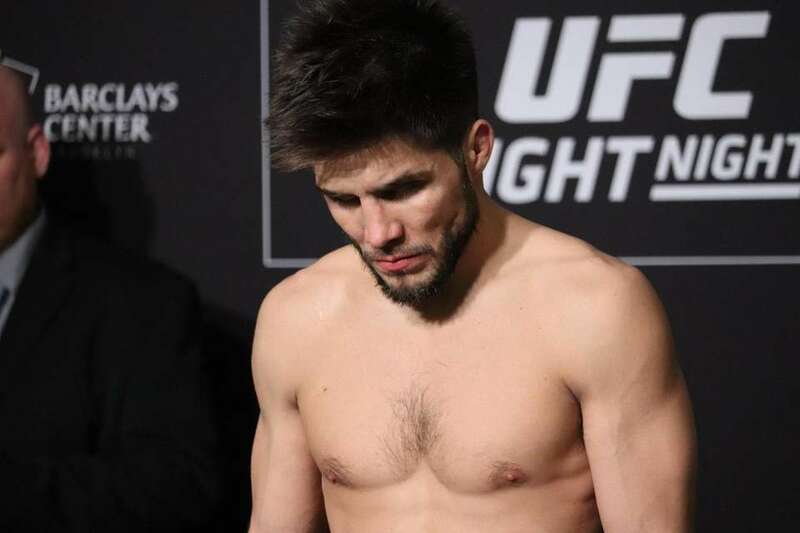 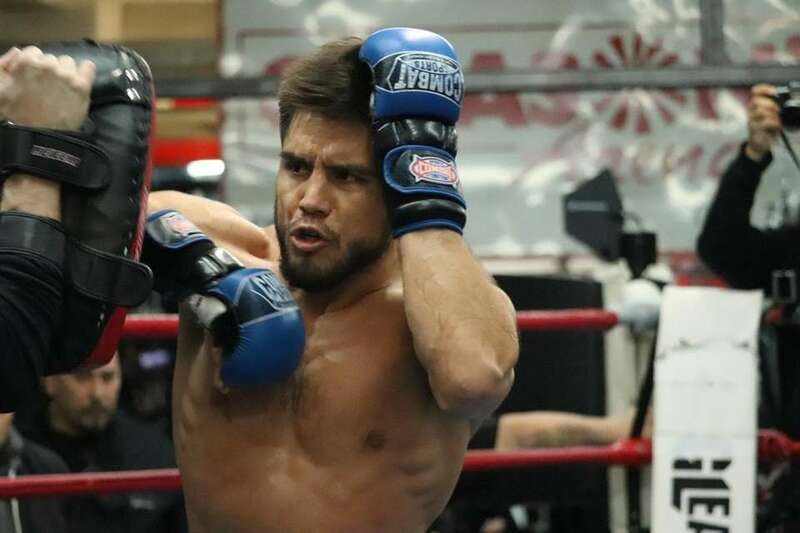 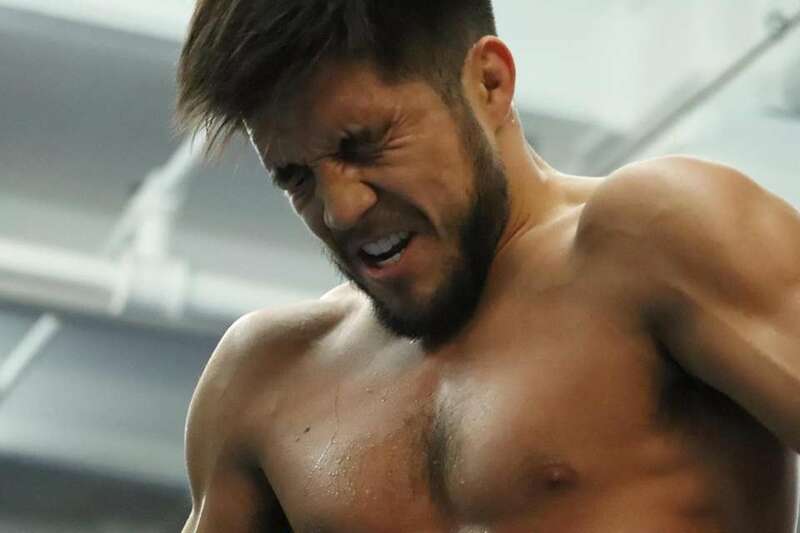 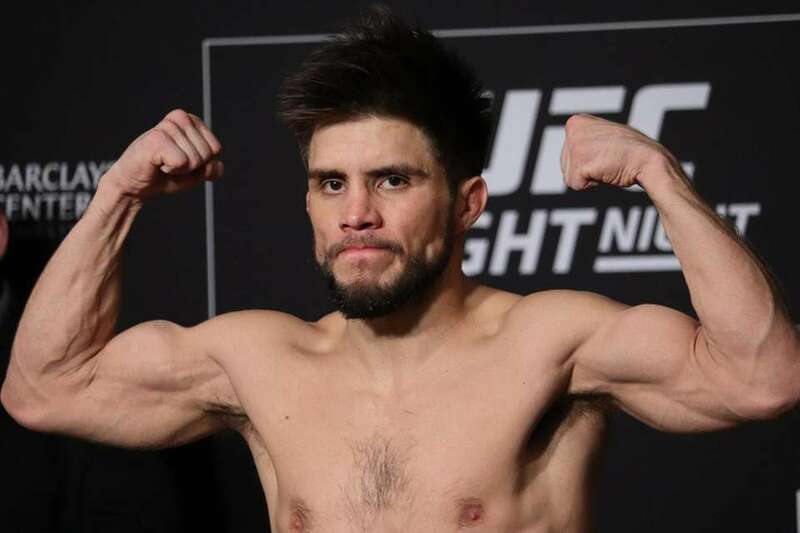 UFC flyweight champion Henry Cejudo weighs in ahead of UFC Brooklyn on Friday, Jan. 18, 2019 in Manhattan. 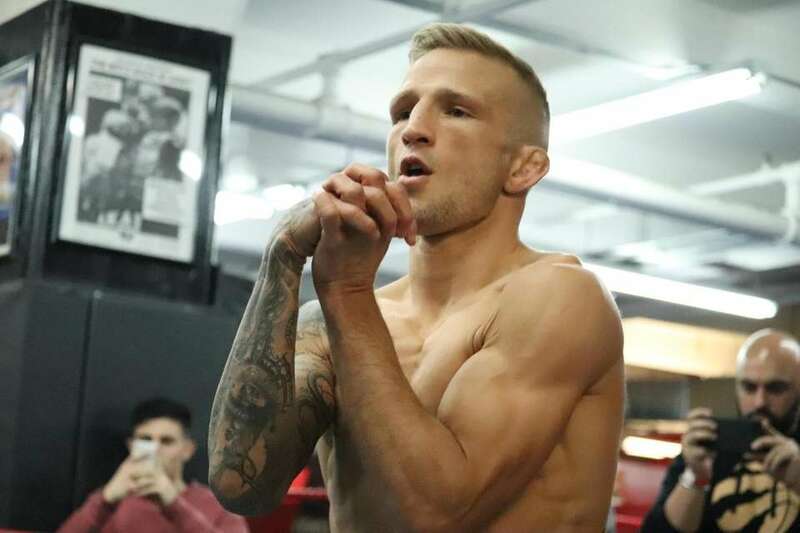 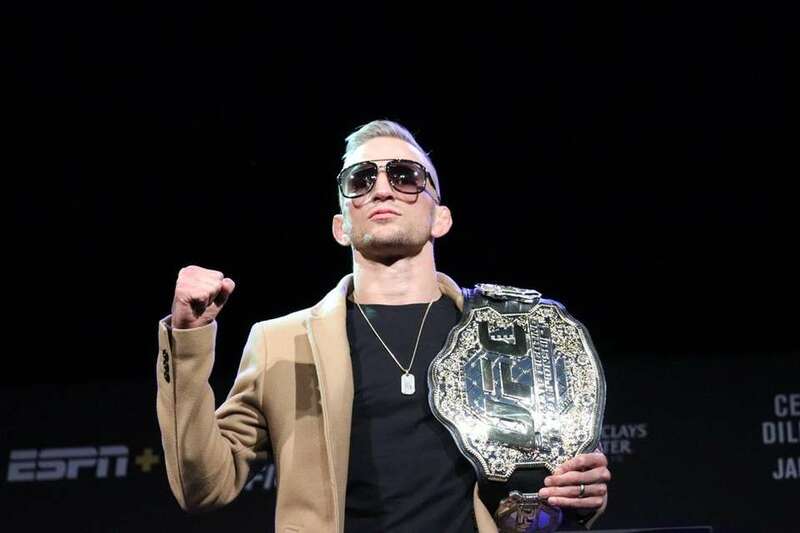 TJ Dillashaw weighs in for his UFC Brooklyn flyweight title fight on Friday, Jan. 18, 2019 in Manhattan. 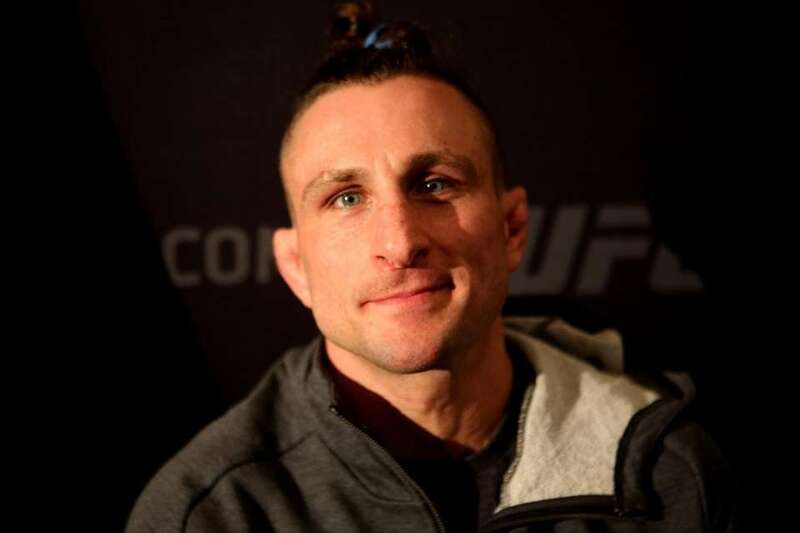 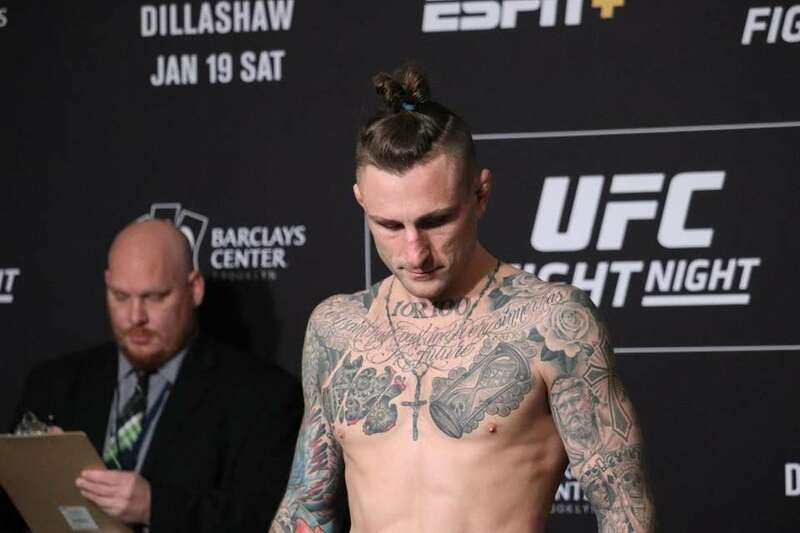 Gregor Gillespie weighs in ahead of UFC Brooklyn on Friday, Jan. 18, 2019 in Manhattan. 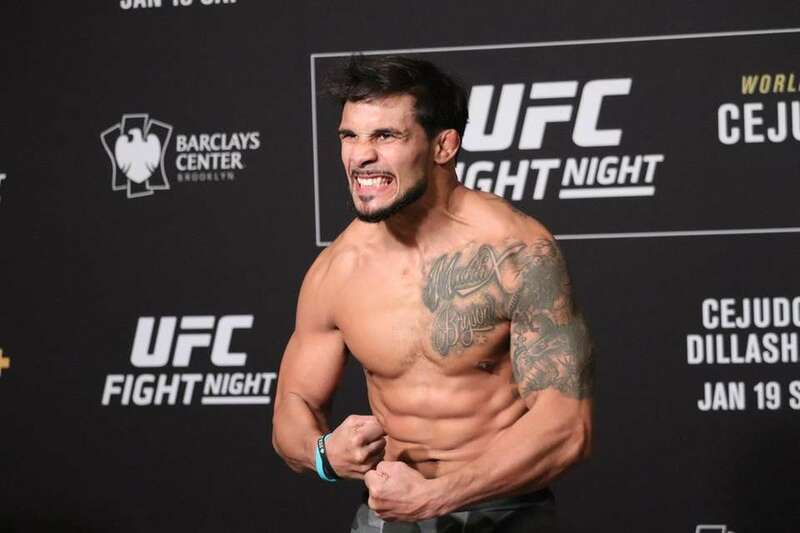 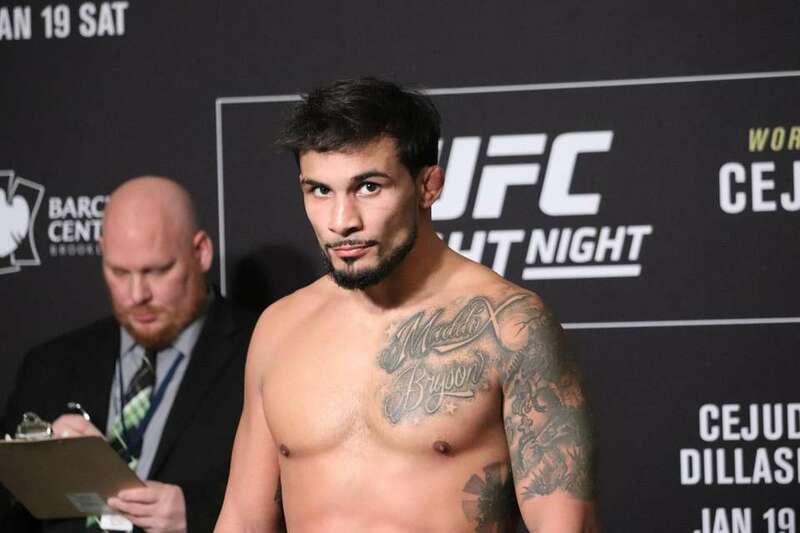 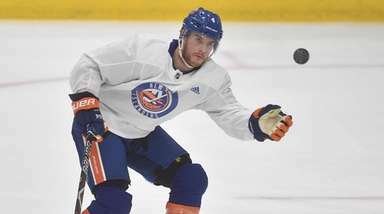 Dennis Bermudez weighs in ahead of UFC Brooklyn on Friday, Jan. 18, 2019 in Manhattan. 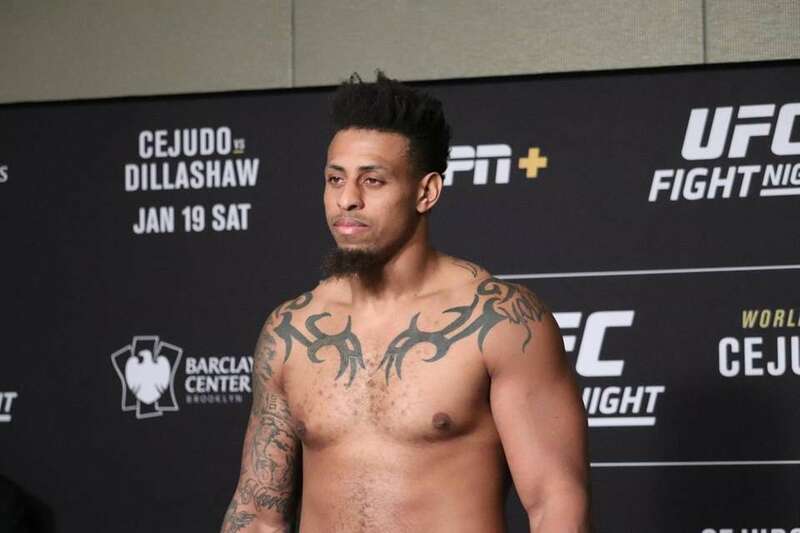 Greg Hardy weighs in ahead of UFC Brooklyn on Friday, Jan. 18, 2019 in Manhattan. 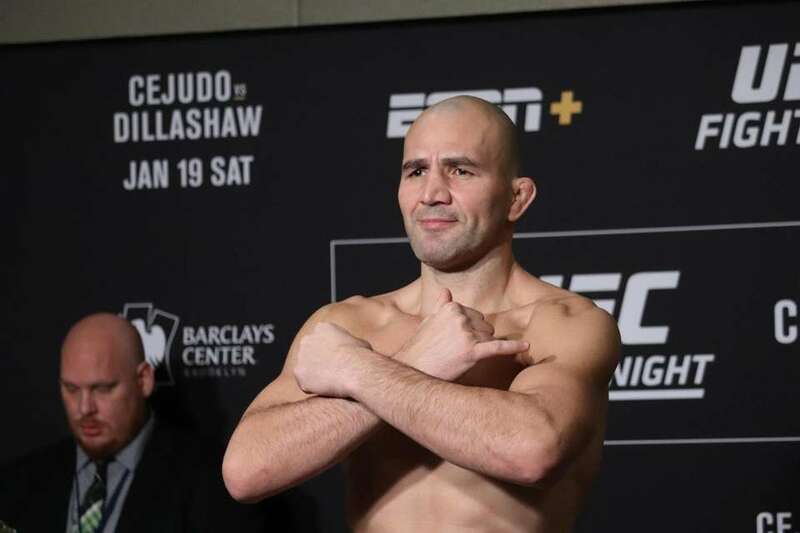 Glover Teixeira weighs in ahead of UFC Brooklyn on Friday, Jan. 18, 2019 in Manhattan. 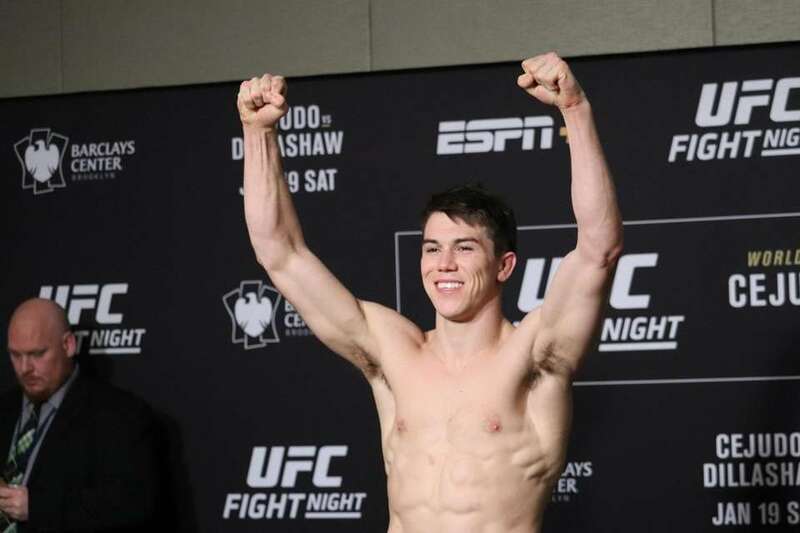 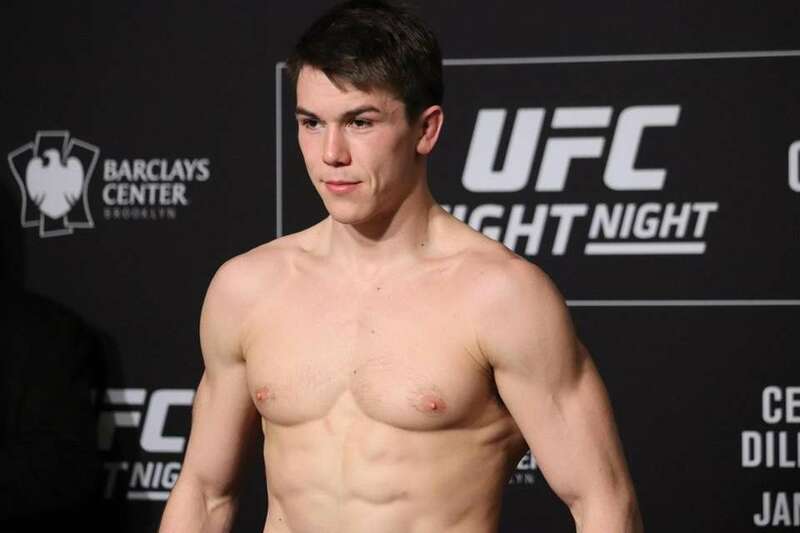 Alexander Hernandez weighs in ahead of UFC Brooklyn on Friday, Jan. 18, 2019 in Manhattan. 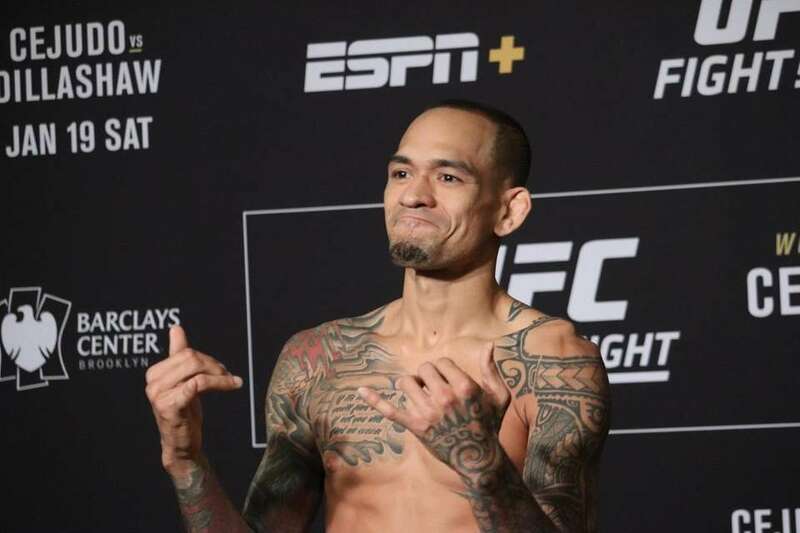 Yancy Medeiros weighs in ahead of UFC Brooklyn on Friday, Jan. 18, 2019 in Manhattan. 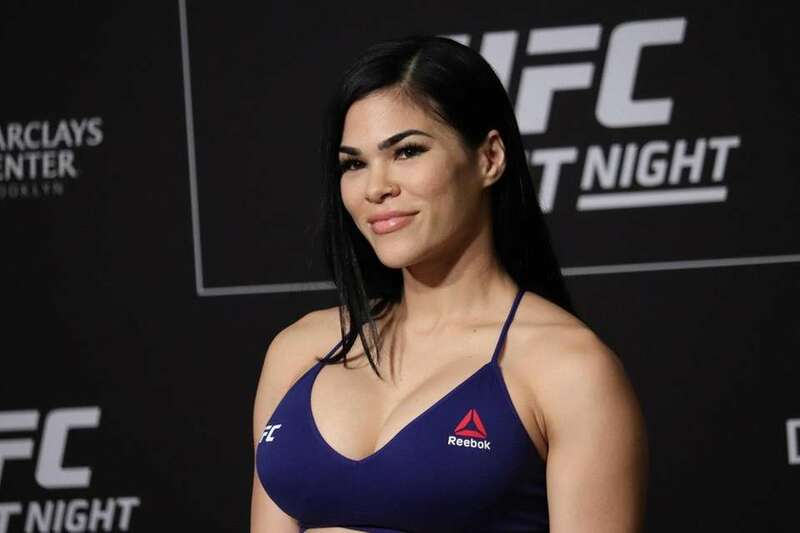 Rachael Ostovich weighs in ahead of UFC Brooklyn on Friday, Jan. 18, 2019 in Manhattan. 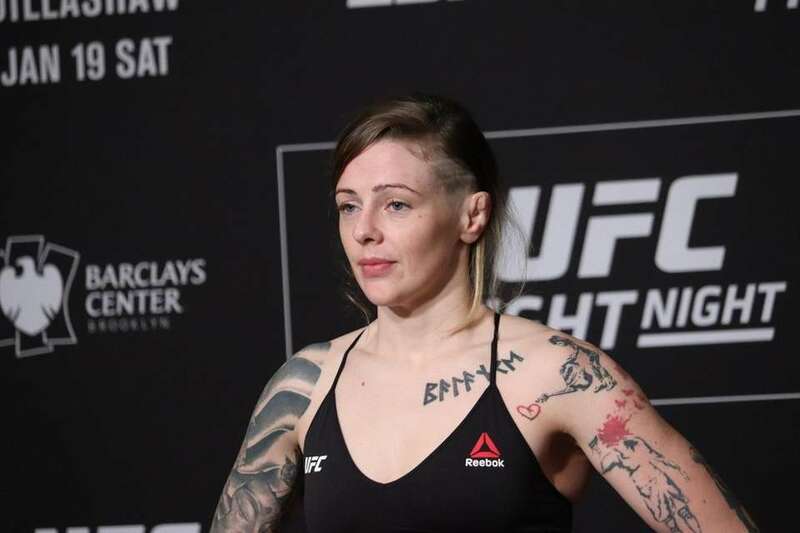 Joanne Calderwood weighs in ahead of UFC Brooklyn on Friday, Jan. 18, 2019 in Manhattan. 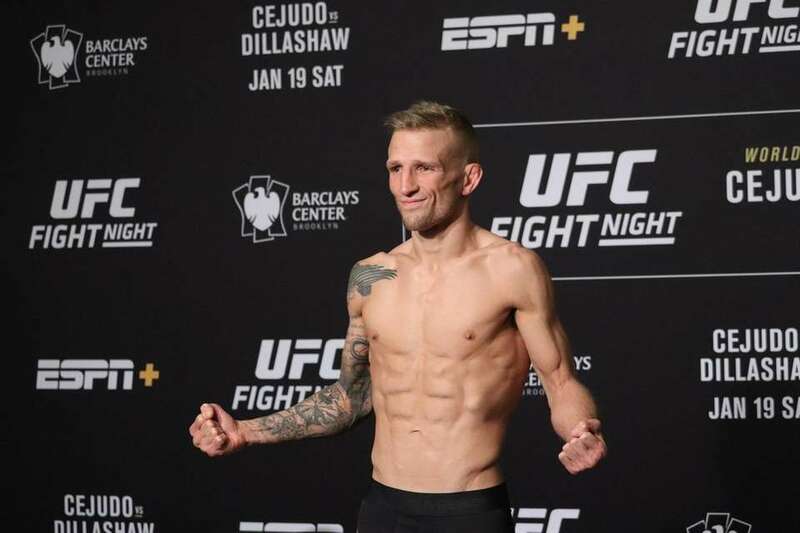 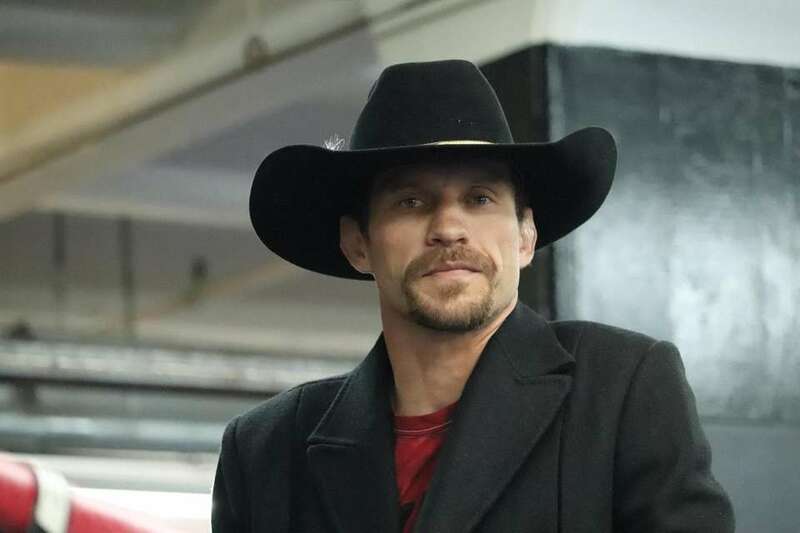 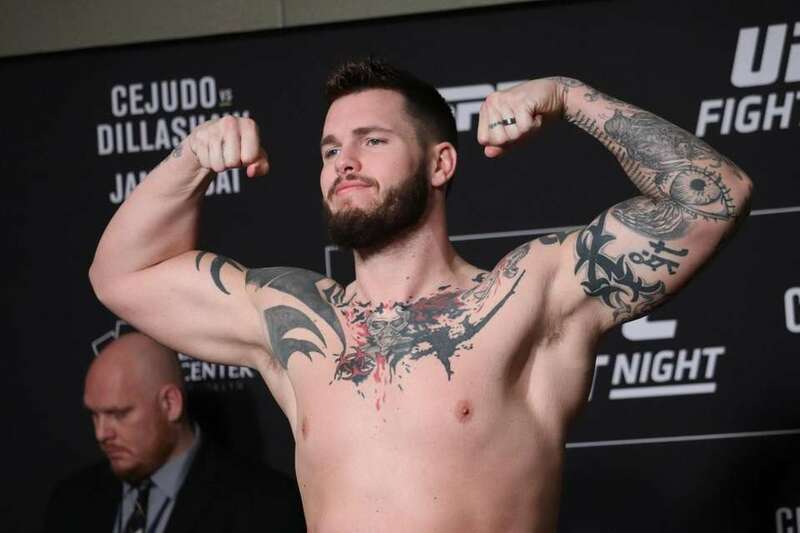 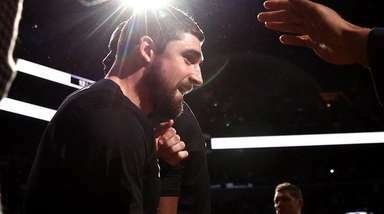 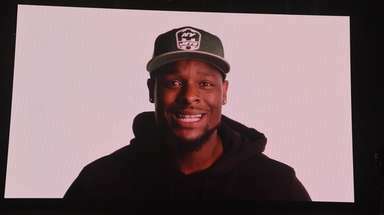 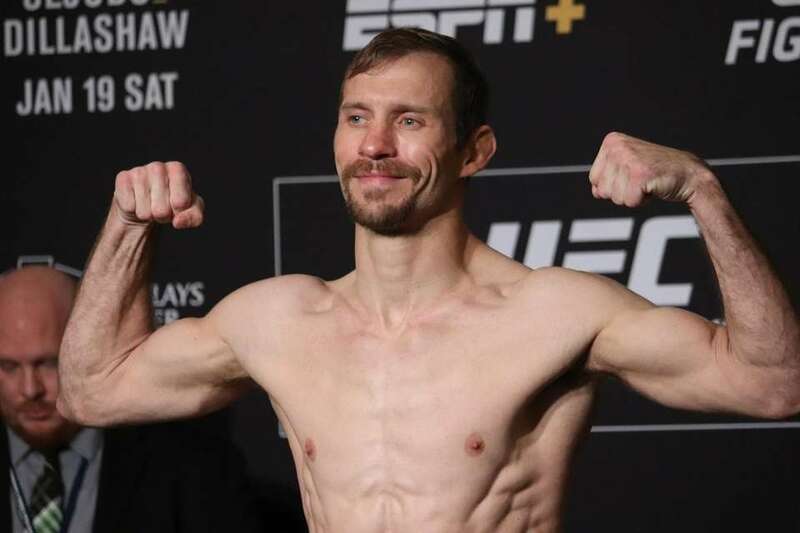 Allen Crowder weighs in ahead of UFC Brooklyn on Friday, Jan. 18, 2019 in Manhattan. 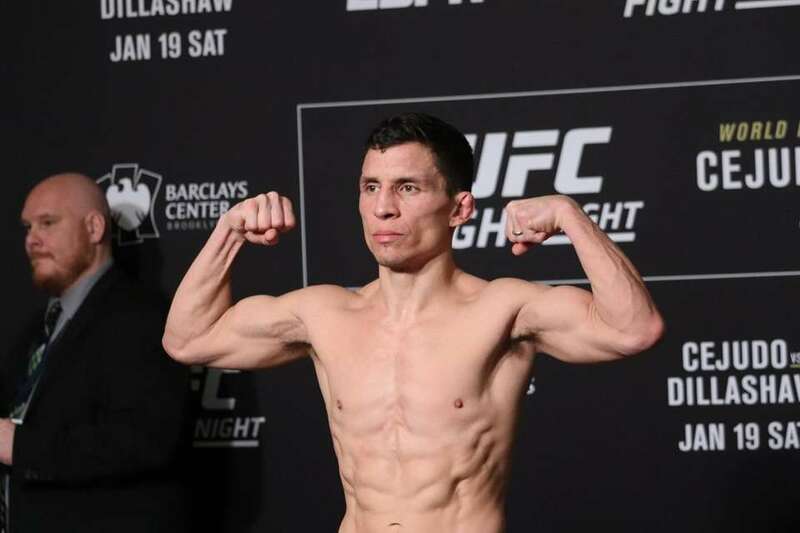 Joseph Benavidez weighs in ahead of UFC Brooklyn on Friday, Jan. 18, 2019 in Manhattan. 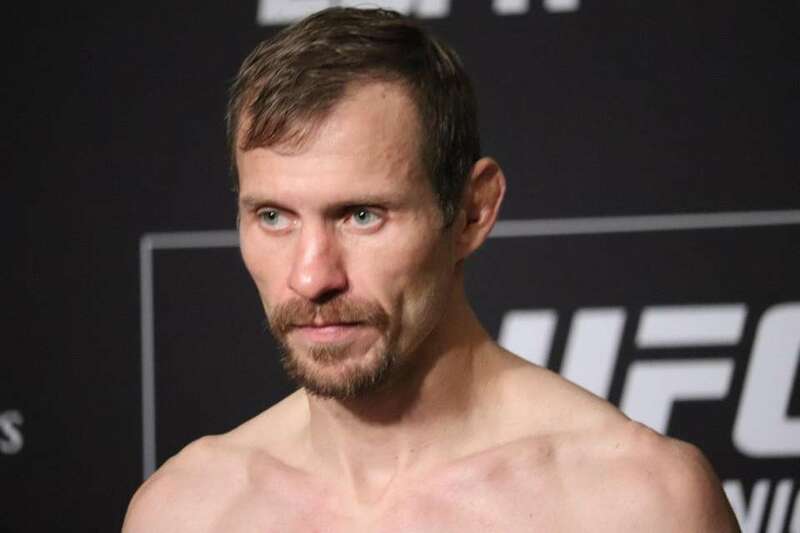 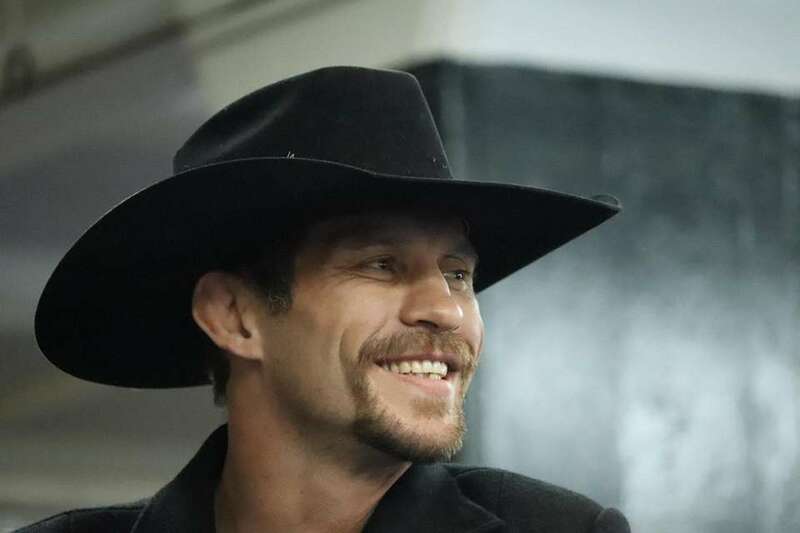 Donald Cerrone weighs in ahead of UFC Brooklyn on Friday, Jan. 18, 2019 in Manhattan. 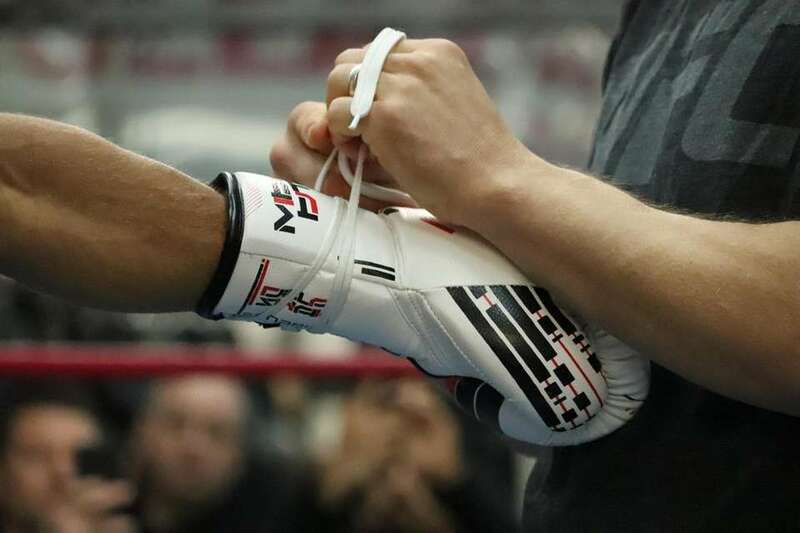 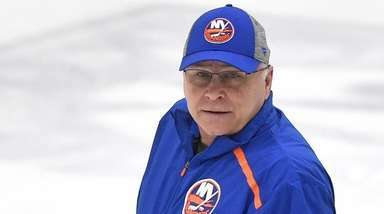 Paige VanZant weighs in ahead of UFC Brooklyn on Friday, Jan. 18, 2019 in Manhattan. 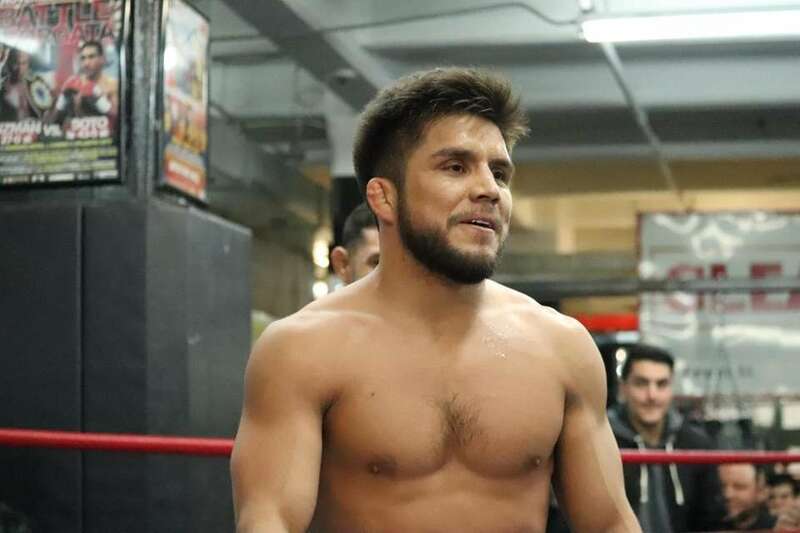 UFC flyweight champion Henry Cejudo appears at a news conference in Brooklyn on Thursday, Jan. 17, 2019. 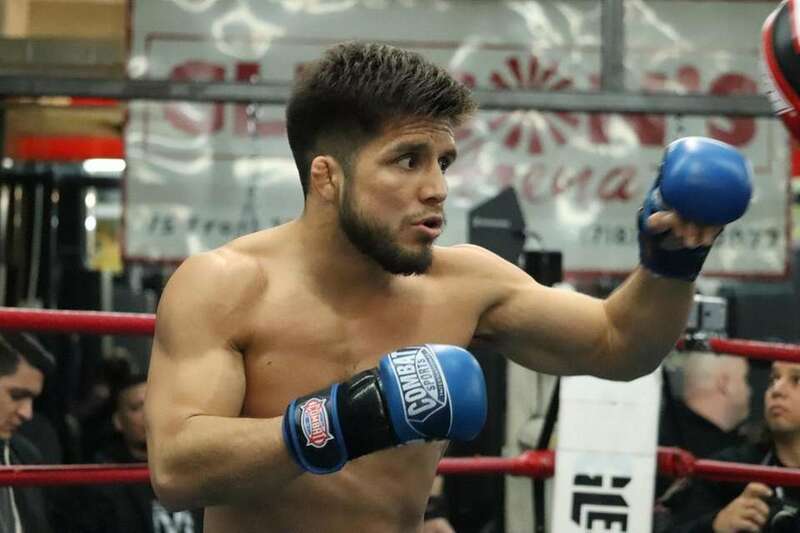 UFC bantamweight champion T.J. Dillashaw will challenge flyweight champion Henry Cejudo on Saturday in Brooklyn. 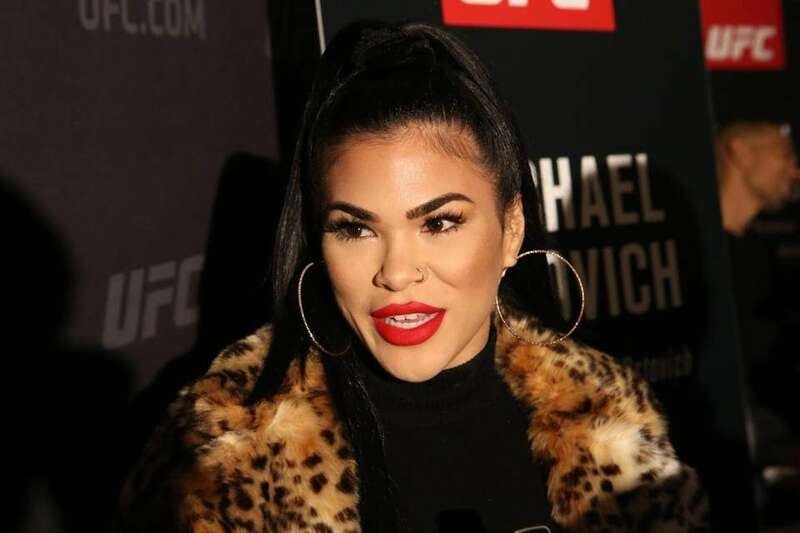 Flyweight fighter Rachael Ostovich speaks to reporters at UFC Brooklyn media day on Jan. 17, 2019. 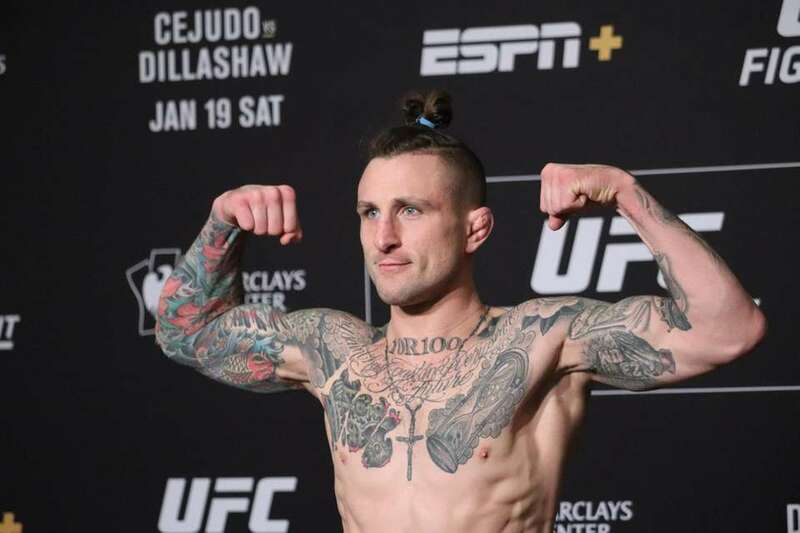 Gregor Gillespie, a lightweight fighter from Massapequa who trains at Bellmore Kickboxing MMA, at UFC Brooklyn media day on Jan. 17, 2019. 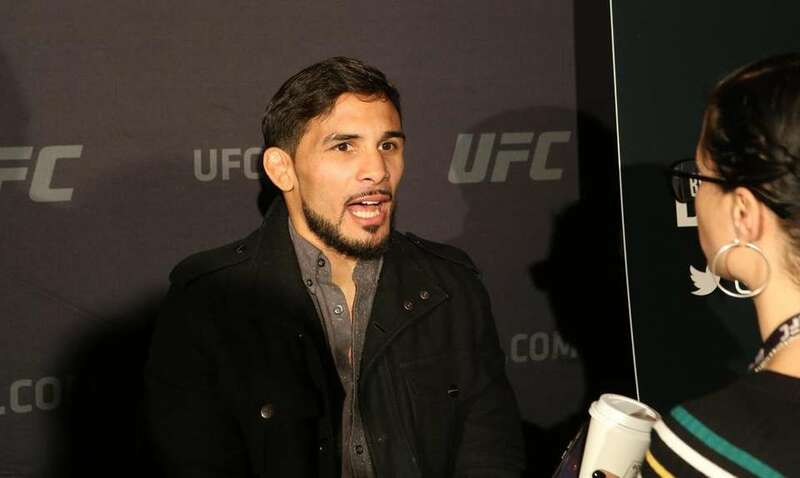 Lightweight fighter Dennis Bermudez of Lindenhurst, who trains at Long Island MMA, speaks to reporters at UFC Brooklyn media day on Jan. 17, 2019. 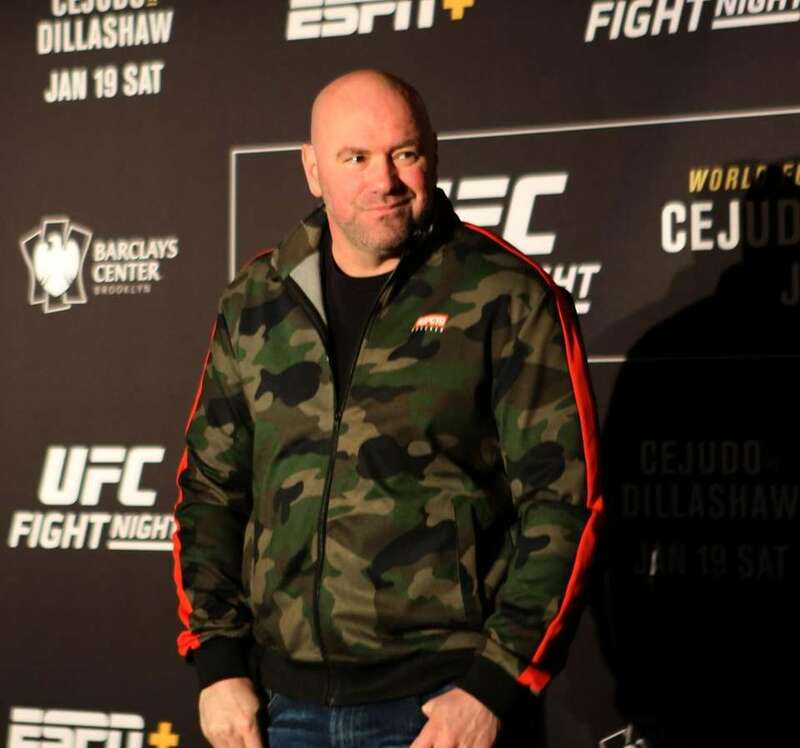 UFC president Dana White at UFC Brooklyn media day on Jan. 17, 2019. 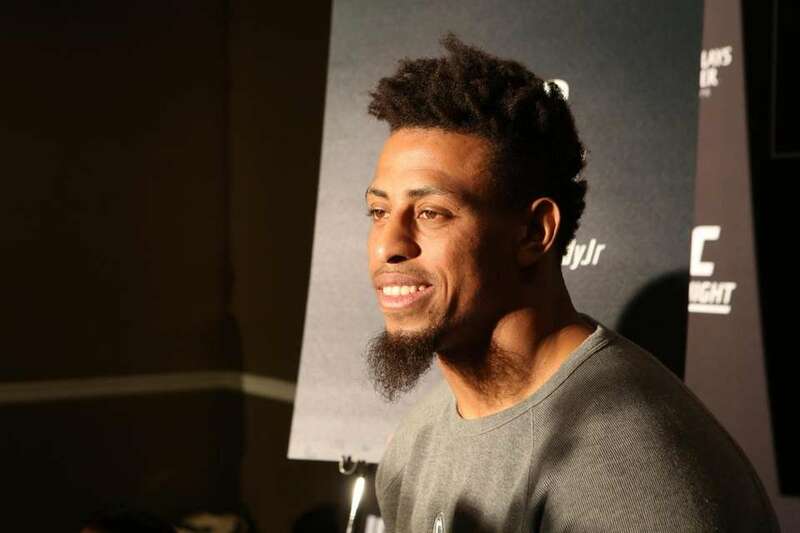 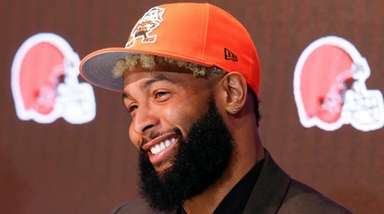 Heavyweight fighter Greg Hardy, a former Pro Bowl defensive lineman for the Carolina Panthers, speaks to reporters at UFC Brooklyn media day on Jan. 17, 2019. 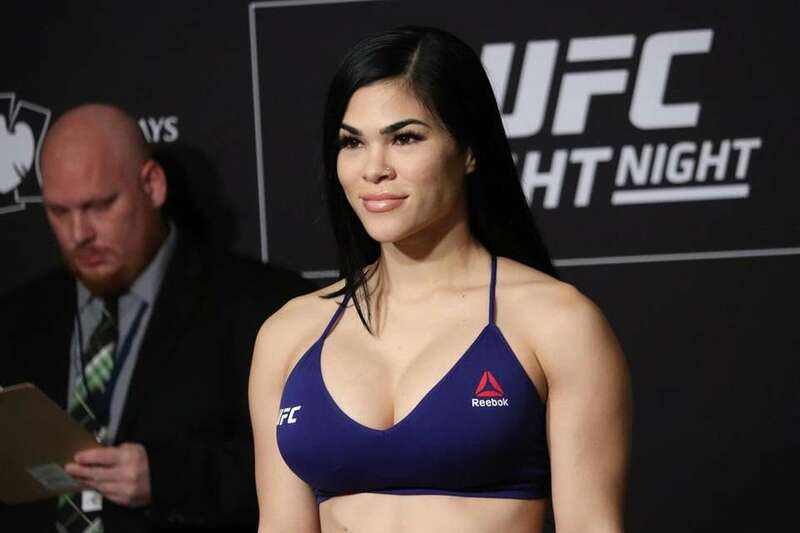 Rachael Ostovich poses for the cameras after her staredown with Paige VanZant at UFC Brooklyn media day on Jan. 17, 2019. 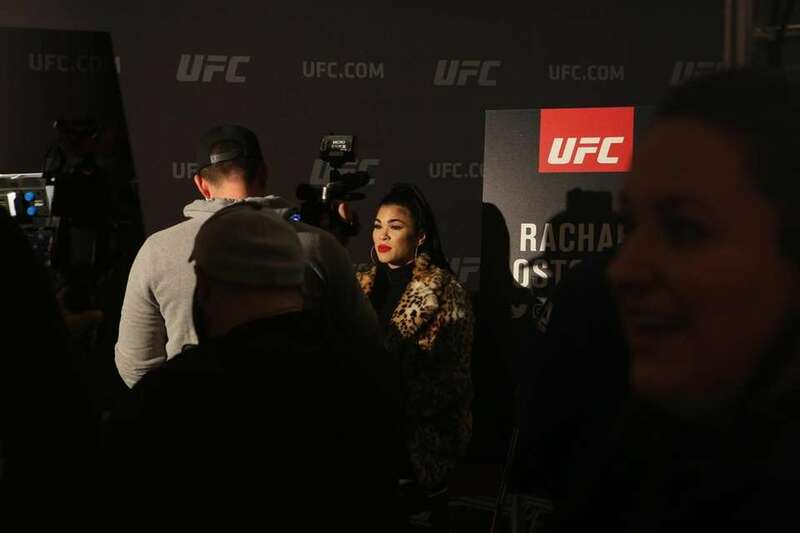 Flyweight fighter Paige VanZant speaks to reporters at UFC Brooklyn media day on Jan. 17, 2019. 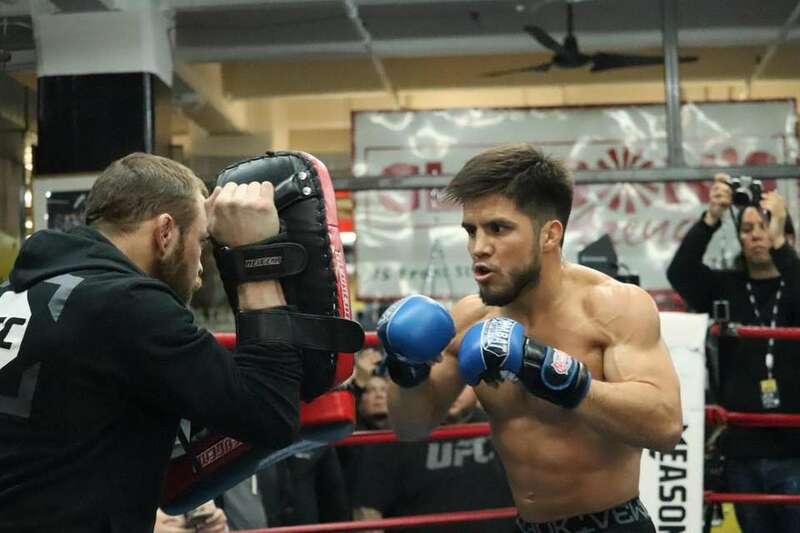 UFC flyweight champion Henry Cejudo works out at Gleason's Gym in Brooklyn on Jan. 16, 2019, ahead of his title fight against TJ Dillashaw at UFC on ESPN+ 1 in Brooklyn on Jan. 19. 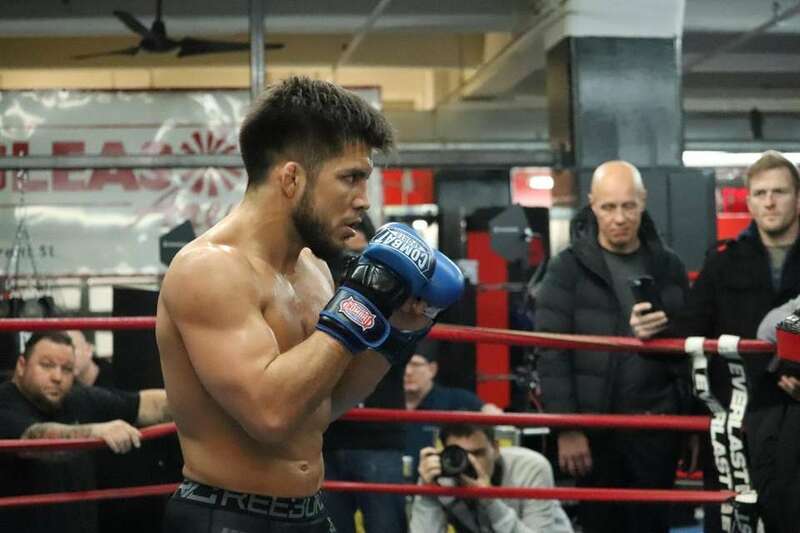 UFC flyweight champion Henry Cejudo works out at Gleason's Gym in Brooklyn on Jan. 16, 2019, ahead of his title fight against TJ Dillashaw at UFC on ESPN+ 1 in Brooklyn on Jan. 19. 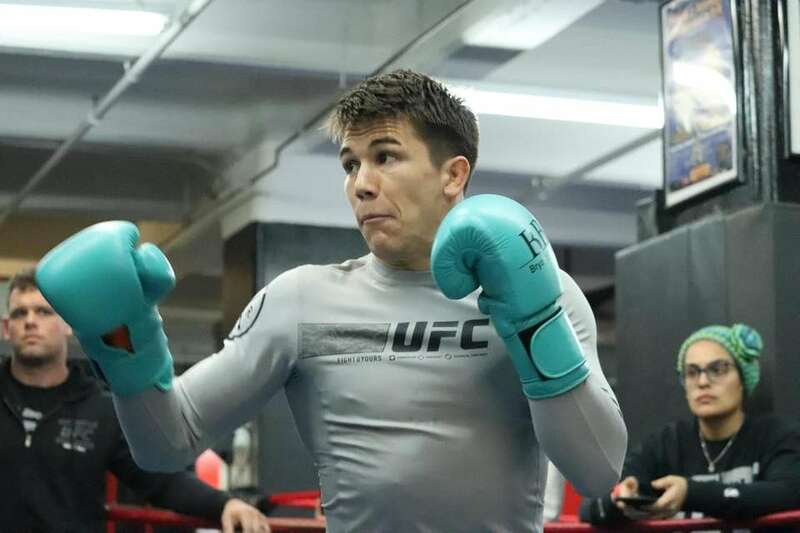 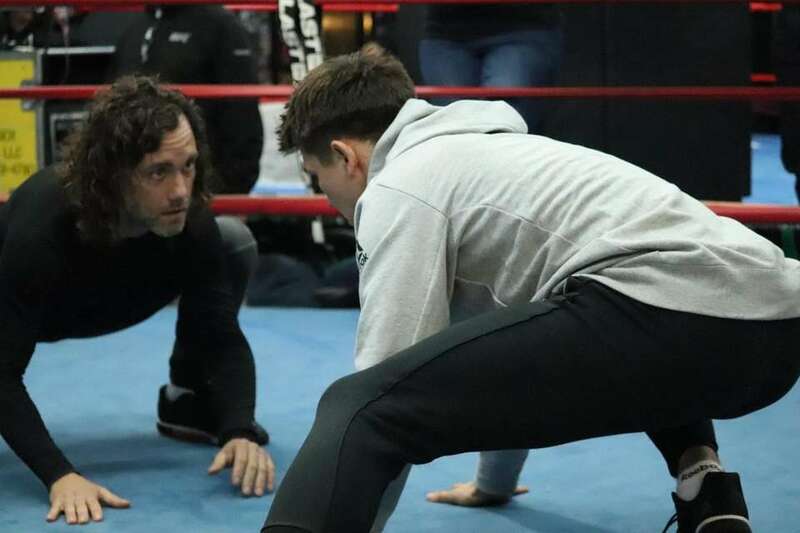 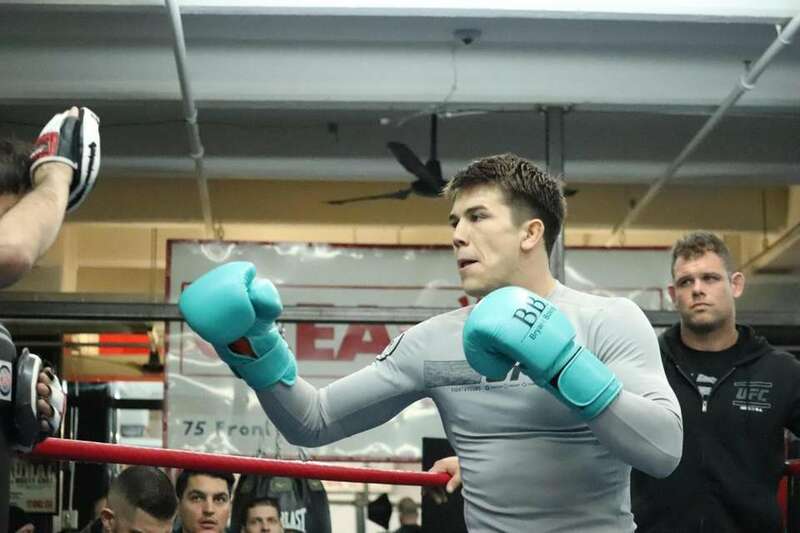 UFC lightweight Alexander Hernandez works out at Gleason's Gym in Brooklyn on Jan. 16, 2019, ahead of his fight at UFC on ESPN+ 1 in Brooklyn on Jan. 19. 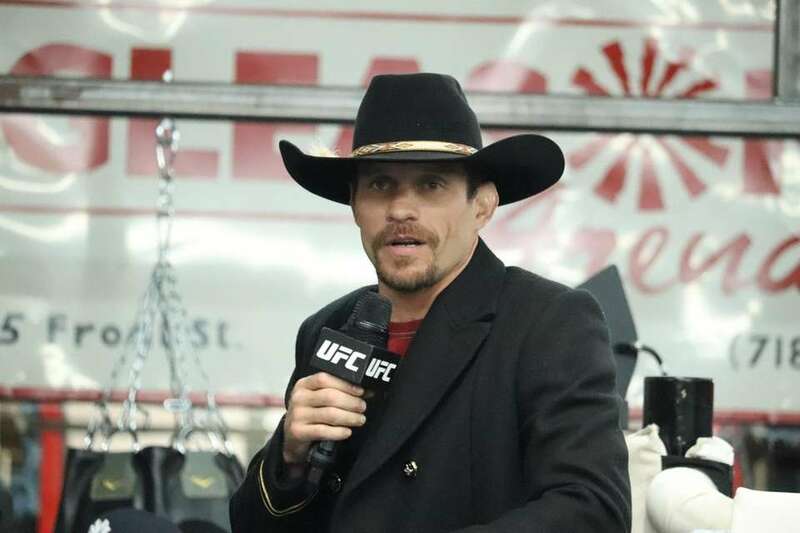 UFC lightweight Donald Cerrone appears at Gleason's Gym in Brooklyn on Jan. 16, 2019, ahead of his fight at UFC on ESPN+ 1 in Brooklyn on Jan. 19. 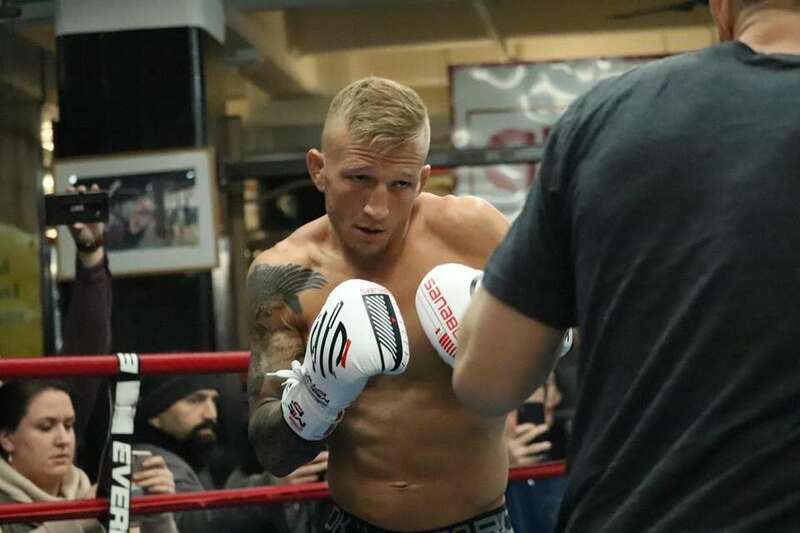 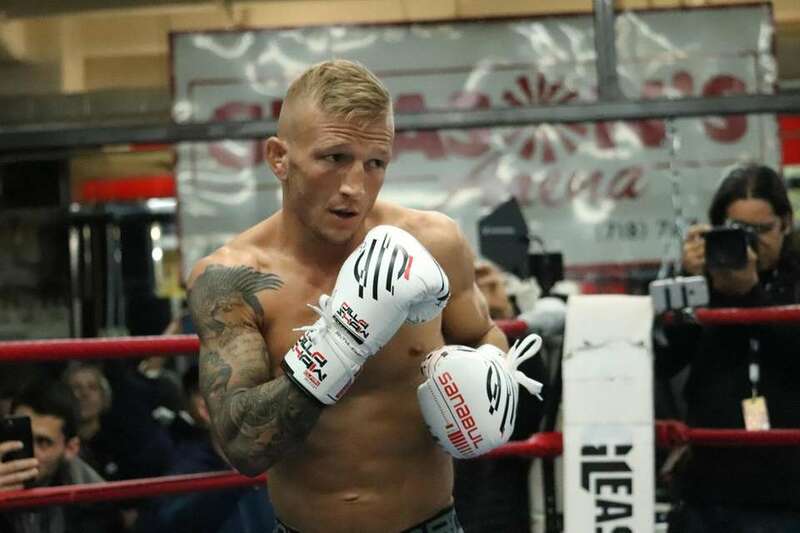 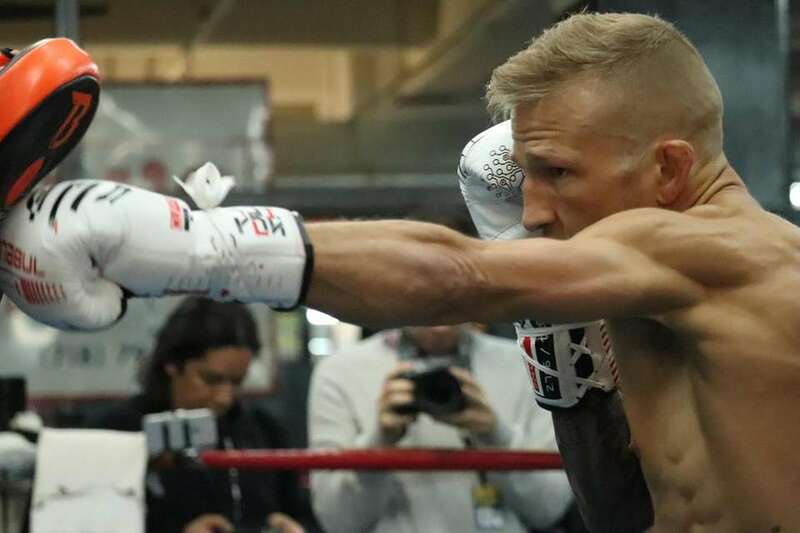 UFC bantamweight champion TJ Dillashaw works out at Gleason's Gym in Brooklyn on Jan. 16, 2019, ahead of his title fight against Henry Cejudo at UFC on ESPN+ 1 in Brooklyn on Jan. 19.